SVE en Polonia a partir de Septiembre. A que esperas? Desde Polonia nuestro partne nos acaba de confirmar que hay 4 plazas disponibles para su proyecto con niños. 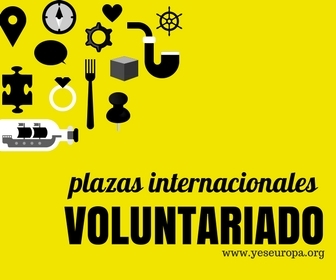 A continuación podeis leer los detalles del voluntariado. MOST IMPORTANT: we are looking somebody who REALLY likes to be with and willing to work with children. question to volunteer: You will work with children 4-6 years old, 4 etimes a week, for 5 hours every day. DO u really like children? Do U like to play with them? To talk and listen? To go for walk? To paint? To jump? to do creazy things with them? This is what will take place during that project. please be aware of that. Accomodation: Volunteer will live with others volunteers in their own flat . There are all equipments, kitchen and bathrooms. Room will be double. Training courses : twe offer a lot possibilites to participate in special workshops and training (about working with children, making project, handcraft, etc). Language course: 3 hours per week during whole project. Personal support – mentor, coordinator of work , coordinator of project.